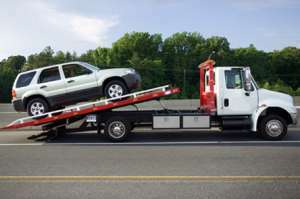 Chances are that you or someone you know has been rescued from inconvenience, or worse, by Abrams Towing. Founded in 1984, we’ve grown to become the largest provider of towing and roadside assistance services throughout Ontario, one happy customer at a time. As our cars become “smarter” with technological advances, more specialized skills and diagnostic equipment are needed to service vehicles. For your safety and convenience, the Abrams Towing fleet is equipped with state-of-the-art towing and roadside service equipment. Our dispatch operations are ISO 9001:2008 Certified and feature the most advanced software and GPS tracking technology available, which allows us to guarantee you safe, fast and reliable roadside assistance. 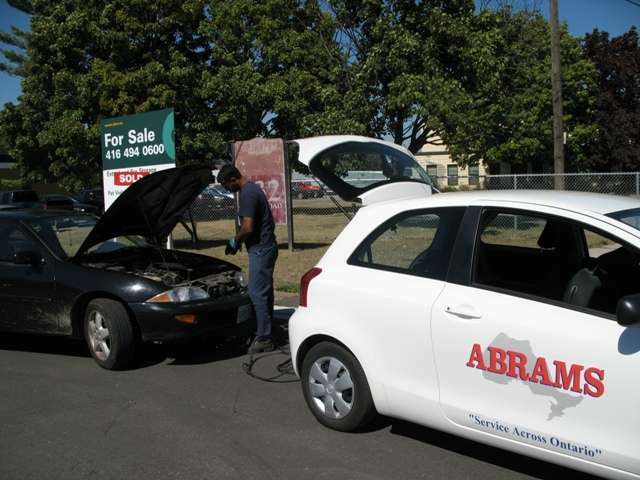 At Abrams Towing we understand that it can be inconvenient and uncomfortable when your car or truck breaks down. That is why our Tow Truck Operators are well-trained and equipped to deal with your needs in an efficient, caring and professional manner. At Abrams Towing, our mission is to provide a superior experience for our customers. 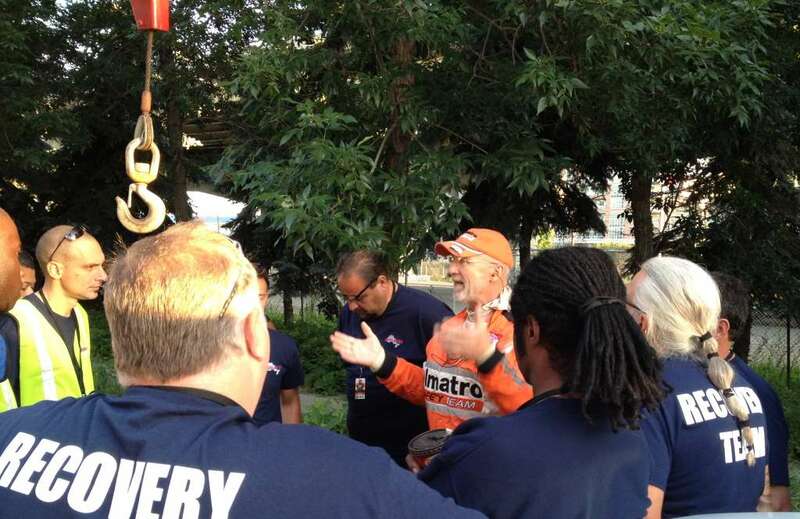 We continually strive to exceed expectations while improving our level of towing and roadside assistance performance. Our equipment and personnel are seasoned problem-solvers who handle the broadest range of towing scenarios and consistently provide superior service to our clients. From the moment your call is received, we manage every step to get you back on the road in a carefully systemized way. 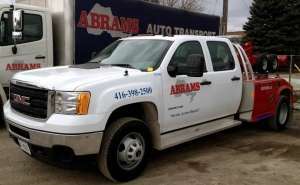 Every member of the Abrams Towing team fully understands the high standards to which we are each held, delivering timely and thoughtful service to our customers. The most important thing to remember when your once-trusty vehicle breaks down is to stay safe. Please keep these safety factors in mind – they’re for your own good! It’s dangerous to stand on the side of the road. Stay in your vehicle or find shelter, if possible. Activate your vehicle’s emergency flashers. Never stand between two parked vehicles. Move your car off the road to safety even if you have a flat. Carry a charged cell phone at all times. Abrams Towing always uses professional-grade power packs to deliver a controlled, direct battery-to-battery power boost to give your car the right juice to get it up and running. Many newer vehicles today are designed to be boosted only through the fuse box. So, when you try to jump-start your vehicle directly through your battery, you may be risking your onboard computer system, stereo, and navigation system. Abrams Towing knows the specific repair needs of your car’s make and model. Used incorrectly, auto unlocks can cause expensive damage to your car or truck. 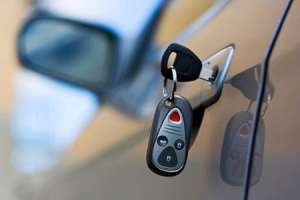 For example, tampering with a door can result in the deploying of side airbags, damaged wiring and scratched door panels. Abrams Towing’s Light Duty Division operators are trained to service all makes and models, new and old. Trust the professionals at Abrams Towing to get you back into your vehicle using only appropriate methods that will not damage your vehicle. Even the highest-performance sports cars break down – that’s why Abrams Towing is the exclusive provider of roadside services for auto manufacturers like Porsche, Mercedes-Benz and BMW. Luxury car companies rely on Abrams Towing’s advanced training and technology to successfully service their customers throughout Ontario and so can you. Our comprehensive approach to learning includes Safety Training, Wreckmaster Certification, First Aid Training and Customer Service Training. Gone are the days when most vehicles merely require a jack and a tire iron to change a flat tire. 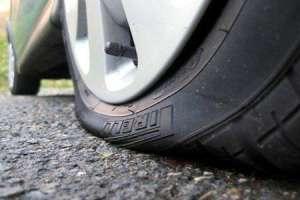 Some newer cars are even equipped with spare tires that must be inflated before installation. Other cars require installation of a special lug nut, without which you may damage your rotor. Call us to get your tire changed quickly and safely – without the hassles of needing special tools or accidentally adding to any vehicle damages. Out of gas? Stuck on the road and need a refill? 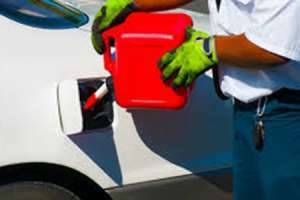 Abrams Towing can quickly deliver you fuel wherever you’re stalled. Whether your vehicle takes diesel, regular, or premium gas, Abrams is always ready to deliver fuel to get you back on the road quickly. Motorcycles require special care and handling when towed. 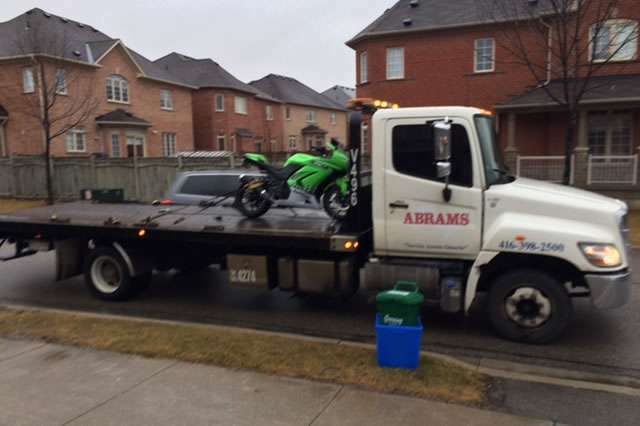 The Abrams Towing Light Duty Division dispatches a flatbed tow truck and your towing operator will properly secure your motorcycle, ensuring that your vehicle is securely towed to your destination. At Abrams Towing we strive for 100% customer satisfaction. We ask all of our customers for feedback and we read every response. This helps us to closely monitor our operations while we constantly improve the quality of our service. Please take a moment to read through some of our feedback from the past few days.